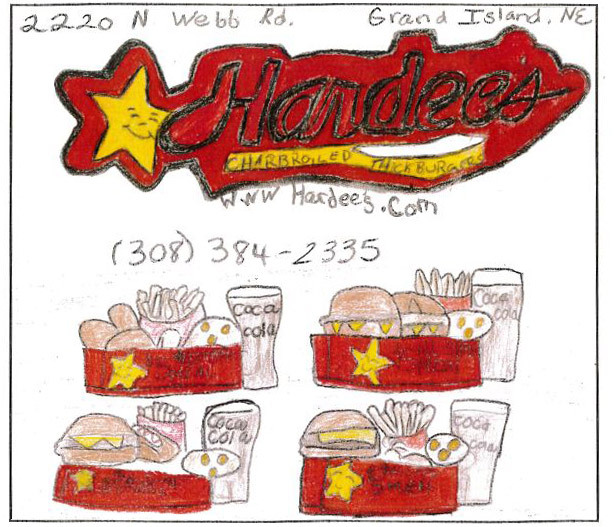 The Grand Island Independent publishes a special edition once a year where local school kids submit artwork of their favorite places to go in town. Hardee’s received entries from a couple of young fans who love the All-Star Meals. Money raised for the ads published go directly to the school district. Hardee’s in Grand Island not only awarded the published artist with a free kid’s meal, they awarded the entire class with a free kid’s meal!